Bremer Trust bank bosses were placed in charge of the superstar's estate following his death from a drug overdose in April (16), when he passed away without leaving a will. 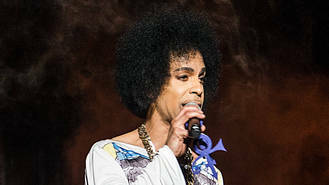 They have since been tasked with handling a variety of issues, including establishing the legitimacy of alleged heirs and turning Prince's Paisley Park compound in Minnesota into a museum for fans. Now officials have filed papers asking a judge to approve funding to cover the cost of bills from 1 July (16) to 30 September (16). In court documents obtained by TMZ.com, Bremer Trust executives reveal handling "the complexity of the problems involved" is a costly job, and requires the services of a number of top legal eagles. The biggest invoice came from lawyers at Stinson Leonard Street, who sent the estate a bill for more than $1.84 million (£1.46 million). Employees from a total of six law firms have been working with Bremer Trust chiefs to sort through all of Prince's affairs. They also list the value of the Purple Rain icon's estate at $200 million (£159 million). The news emerges two months after Prince was named the fifth highest-earning dead celebrity of the year (16), pulling in $25 million (£20 million) in 2016, placing him behind the likes of Elvis Presley and Michael Jackson, who topped the Forbes magazine list. Meanwhile, Prince's friends and family are planning to celebrate the musician's legacy with a big, four-day bash at Paisley Park on the first anniversary of the singer's death in April (17). Celebration 2017, which will begin on 20 April (17), will feature performances from Prince's bands The Revolution and 3rdEyeGirl, and longtime pal and Purple Rain co-star Morris Day. More acts will be announced in upcoming weeks.